Dr. Smoller began his career in pathology as a resident in anatomic and clinical pathology at Harvard's Beth Israel Hospital. From there, he did a dermatopathology fellowship at Cornell Medical School/ New York Hospital under the tutelage of Dr. Scott McNutt. He remained on faculty at Cornell for several years before relocating to Stanford University in 1990 to assume the position as Director of Dermatopathology and rose through the ranks to become a Professor of Pathology and Dermatology. In 1997, he relocated to the University of Arkansas where he became Chair of the Department of Pathology, in addition to his role as the Director of Dermatopathology. He remained there until 2011 when he was appointed to the position of Executive Vice President of the United States and Canadian Academy of Pathology. 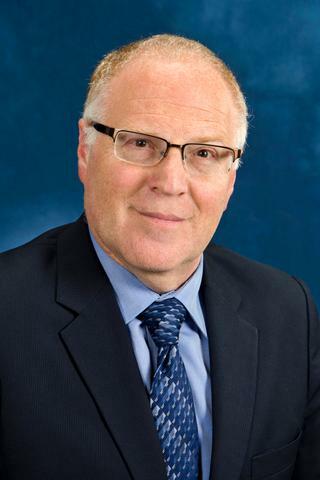 He spent nearly three years in that position before accepting the position as Professor and Chair, Department of Pathology and Laboratory Services and Professor of Dermatology at the University of Rochester School of Medicine and Dentistry. Dr. Smoller has published more than 235 original articles, 39 book chapters and 13 textbooks of dermatopathology. He has served as the Editor-in-Chief of the Journal of Cutaneous Pathology and as the President of the American Society of Dermatopathology. He is proudest of the Nickel Award he received from the American Society of Dermatopathology in recognition of lifetime excellence in teaching. Bagherani N, Smoller BR. "Potential efficacy of a RNAi-based topical treatment for psoriasis." Dermatologic therapy.. 2018 Mar 0; 31(2):e12585. Epub 2018 Feb 12. Bagherani N, Smoller BR. "The efficacy of botulinum neurotoxin A in the treatment of plaque psoriasis." Dermatologic therapy.. 2018 Mar 0; 31(2):e12587. Epub 2018 Feb 20. Pitch MA, Kim KH, Manning T, Smoller BR, Wong HK, Kaley JR. "A diagnostically challenging case of CD8+ primary cutaneous gamma/delta T-cell lymphoma." Dermatology online journal.. 2017 Nov 15; 23(11)Epub 2017 Nov 15.